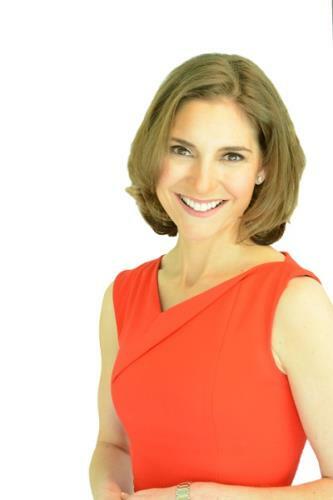 Dr. Darria Long Gillespie is a Yale- and Harvard-trained emergency physician, a regular guest expert on CNN and The Dr. Oz Show and a national go-to doctor for simplifying health—particularly for women and parents. Now she’s sharing her expertise with a wider audience via her new book Mom Hacks: 100+ Science-Backed Shortcuts to Reclaim Your Body, Raise Awesome Kids, and Be Unstoppable, and she’s coming to GPS for two public events. The first event will be on Thursday, Jan. 31 from 6:30-8 p.m. at the GPS Frierson Theatre. "Join Dr. Darria as she sits down with guest host Alison Lebovitz in a candid conversation on how she’s resetting health expectations—and what’s possible—for women and parents," organizers said. "She’ll also share some of her top hacks as an ER doctor and mom for making nutrition, sleep, stress management—and general health—simply smarter and easier." The second event will be held on Friday, Feb. 1 from 8:30-9:30 a.m. at GPS Caldwell Commons. "As an emergency medicine physician, Dr. Darria knows that whatever comes through those ER doors, she can say, I’ve GOT this. She transfers the same mindset that lets her succeed amidst chaos into a system for parents, bucking the old standards of 'just use more willpower' or 'eat less, exercise more' and giving parents quick and actionable tips they can do today to help both themselves and their children thrive. Because every parent can find that sense of, I’ve GOT this," organizers said. Both presentations are free and open to the public, but guests are asked to register their attendance due to anticipated large crowds. A limited quantity of advanced copies of Mom Hacks, signed by Dr. Darria, will be given to early registrants.